The Russian Anthrax story is an iconic example of how a dubious hypothesis goes viral in the media simply by blaming global warming. The original hypothesis imagined “global warming thawed a reindeer” but that hypothesis has already been discarded as ground zero for the outbreak has been narrowed to a private deer-breeding ranch, which is the typical location for Siberian anthrax breakouts. Nonetheless rabid alarmists blindly embraced warming from rising CO2 as the cause of the outbreak, and then went on a witch hunt against anyone offering a more common sense perspective. The Daily Kos recently posted an article by Outonalimb, (aka Dave Petterson and crafted with the help of the most dishonest professional skeptic-basher Slandering Sou), that attacked my WUWT essay, which correctly suggested the termination of Russia’s vaccination program resulted in the Russian Anthrax outbreak. If the Daily Kos ever wants to be taken seriously by the general public, I suggest they never post such transparently dishonest and ill informed writings. Indeed it’s true I am not a big name and I have never pretended to be, nor cared to be. I am just another scientist honestly reporting on the evidence as I see it and hopefully expect an honest discussion. Much of my understanding is based on 30 years of experience evaluating how regional climate change has affected wildlife. In my essays and my book I have constantly warned that uncritically blaming global warming for every problem only leads to bad diagnoses, incorrect remedies and thus failed environmental stewardship. Blaming global warming for the Yamal anthrax is just another example of such folly and easily proven to be nonsense. Such nonsense only detracts from finding realistic solutions required to deal with anthrax’s spread. Indeed alarmists had uncritically and far too quickly embraced the idea that climate change was killing frogs and they were proven very wrong, but I never argued such past failures mean alarmists must also be wrong about anthrax. Each case must be evaluated on its own merits. Such past failures simply mean we damn well better scrutinize all claims if we want to reliably address the spread of deadly diseases. Unwittingly Outonalimb linked to an article in Science proving my point by illustrating just how easily bad science gets published. His Science article had dramatically stated, “As humans pumped carbon dioxide and other greenhouse gases into the atmosphere, Costa Rican rainforests became hotter and dryer in the mid-1980s. These conditions made the toad vulnerable to the chytrid fungus, which is thought to thrive in warmer, drier climes”. But that was pure fabrication from the minds of those who link everything to CO2. Epidemiologists had meticulously documented that warmer and drier climes kill the fungus, and thus warmer climes protected the frogs. It was frogs living in cooler and moister habitats that were suffering extirpations. The journal Science had published an article that was utterly wrong but blindly embraced, so that the “death by global warming” meme spread like a bad disease spread by Outonalimb and his ilk. Such blatantly wrong climate science echoes the concerns of the Lancet’s editor that maybe half of the peer-reviewed published medical data is wrong. In order to blame global warming for Siberian anthrax outbreaks, one must falsely believe, and only believe, that anthrax had been eliminated from the Siberian surface and relegated to deeper frozen permafrost. Once that incorrect assumption is embraced, it easily, but not realistically, follows that any recent warming trend must be unleashing anthrax from its frozen shackles and killing deer and people. With such a myopic view, rabid alarmists then argue CO2 warming has caused the deadly anthrax outbreak and attack all who disagree. The problem is their first assumption in the chain of delusional thoughts is totally wrong. And multiple lines of evidence reveal just how wrong such thinking is. In contrast, if one understands that anthrax is still present in the permafrost’s active layer as it has always been, then it follows an anthrax infection could be acquired from wherever the active layer is disturbed. It wouldn’t matter if the permafrost was warming or not. The permafrost’s active layer is defined as the uppermost layer typically ranging from 1.5 to 4 meters (5 to 13 feet) of soil that naturally thaws each and every summer. In contrast to minus 50 F temperatures in the winter, summer temperatures throughout northern Russia warm to the 50s and 60s F from June through August causing a thaw each summer. Furthermore due to the meandering location of the summer jet stream, northern Russia is one of the 3 weather hotspots that normally experience high frequencies of the classic omega-blocking pattern that produces summer heat waves periodically driving temperatures into the 90s. During the summer thaw, anthrax spores secreted from infected animals or from infected corpses easily become integrated in the thawed active layer. But spores do not easily penetrate into solid permafrost, if ever. Indeed other researchers reported anthrax killed “1.5 million deer in Russian North between 1897 and 1925.” Those documented anthrax breakouts are undeniable evidence that anthrax spores had not been sequestered in the permafrost but resided close to the active layer’s surface. Clearly Siberian anthrax was prevalent long before climate change was ever an issue and before any worrisome warming. The Siberian Times continued, “The spread of the disease among reindeer was caused by old soil disease spots, which melted as a result of abnormal heat”. Undoubtedly, prior outbreaks created soil hotspots. But to imply the soil had never thawed until the heat in the summer of 2016, simply does not make sense. If the soil had remained frozen since the late 1800s, the spores could only remain near the surface. In that case any thawing would allow spores to penetrate deeper and further away from the mouths of grazing animals. And if topsoils had been frozen solid since the late 1800s, it could never have supported the high concentrations of deer and cattle herds on the region’s breeding ranches. Nonetheless Outonalimb tried to argue that the warm global average temperatures prove a CO2 causal connection. But clearly Outonalimb is not an ecologist. Organisms never react to a globally averaged statistic. Organisms only react to their local conditions. Furthermore in regions neighboring Yamal, anthrax outbreaks had been happening every few years. Although a 2011 Russian Academy of Sciences paper expressed concern about future permafrost melting and releasing “zombie spores”, they also reported there had been many anthrax breakouts over the past 70 years, which is evidence anthrax spores had never been eradicated. Yearly outbreaks in northern Russia could only happen if anthrax had never been sequestered in the permafrost. 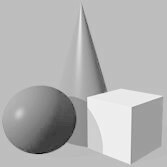 It had always remained prevalent near the surface. RAS researchers reported, “Among all the Arctic territories of the Russian Federation, Yakutia has the greatest number of settlements, where outbreaks of anthrax have been registered in the past, which is explained by very intense breeding of reindeer and horses. Between 1906 and 2004, 270 settlements reported outbreaks of this disease. The greatest numbers of epizootic events were recorded in 1949, 1951, 1957, 1969, 1970, 1980, 1986-1988, and the last outbreak occurred in 1993. There were 21 casualties among the Yakutia population between 1949 and 1996 due to anthrax contracted mostly from cattle and reindeer.” Clearly those frequent anthrax outbreaks are strong evidence that anthrax has remained prevalent no matter how the climate changed. 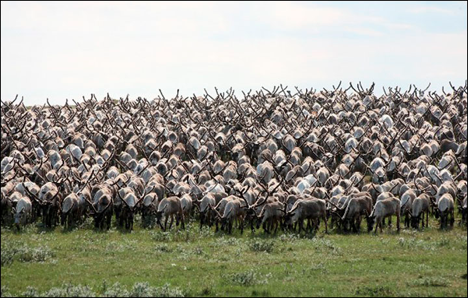 Yakuita’s anthrax epidemics also serve as evidence that intensive deer breeding in Yamal was the trigger for outbreaks also observed in Yakutia. 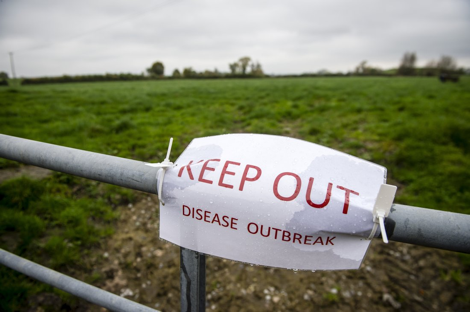 Due to high anthrax prevalence in the active layer, the consensus among epidemiologists over the past 70 years has always been that vaccinations were essential in order to suppress anthrax breakouts. Unfathomably in 2007 the government stopped vaccinations in Yamal. So in my essay I asked “should anyone be surprised by the re-emergence of anthrax back to pre-vaccination historical levels in the Yamal region? Defending his blind belief in global warming, Outonalimb defensively shot back, “Yes they should be surprised. Infectious diseases are not caused by the absence of a vaccine. They are caused by the presence of a pathogen.” Well duh. Clearly the Daily Kos and Outonalimb completely failed to understand the difference between disease eradication versus suppression due to vaccines (or vector control). Ever present pathogens create deadly disease. Vaccinations suppress deadly infections. Remove vaccinations and deadly infections resume. It should not be that hard to understand. But Outonalimb continued referring to the plague, polio and smallpox and falsely asserting “The point is, these diseases have been eradicated, as anthrax had been in Yamal. But Outonalimb failed to do his homework. Only smallpox has been eradicated. 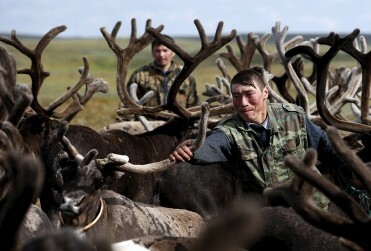 Anthrax is still prevalent around the world and remained prevalent in all regions neighboring Yamal. His assertion anthrax had been eradicated was nothing but a speculative figment of his imagination. Furthermore the plague is far from eradicated, and polio still infects regions with poor sanitation. Those diseases have only been suppressed. In southwestern USA, ground squirrels carry plague. While backpacking I have encountered several campsites closed due to plague concerns. I had our field station surveyed for the plague and hanta virus to determine if precautions against infection needed to be taken to protect our campers. Globally, people are still vaccinated by the thousands to protect them from the plague. Polio is still prevalent world wide and doctors in the USA recommend children get a series of 4 polio vaccinations and then a booster. There are sound scientific reasons why most anthrax outbreaks in Yakutia and this one in Yamal occurred around settlements where intense deer or horse breeding take place. Highly concentrated populations of grazing animals chew plants down to their rootstocks and often uproot plants. Trampling and pawing of the soil by thousands of hooves further erodes the surface layer and exposes buried spores. Ingestion of a single spore by just one deer is all that is needed for that single anthrax spore to rapidly multiply into billions of bacteria. That one infected animal then spreads the disease over the pasture where high concentrations of deer (or horses or cattle) increase the probability of another animal becoming infected. In this manner the disease is rapidly amplified resulting in a full fledge epidemic. Eating contaminated meat or touching contaminated hides then infects people. Although authorities claimed there had not been a case of anthrax in Yamal since 1941 the question remains was that due to eradication or suppression? The frequent and recent outbreaks in surrounding regions are proof eradication from the region never happened. Furthermore spores can remain viable in the ground for over 100 years. It would require a century of absence before eradication was ever plausible. In addition the latest anthrax research adds a new dimension to our understanding of how anthrax remains viable for even longer time periods. Typically anthrax bacteria multiply rapidly once inside a grazing animal. However when released back to the ground via secretions of infected animals or when the animal dies, anthrax numbers rapidly dwindle so only a small percentage of resting spores are detected. But researchers have now shown resting spores can grossly underestimate anthrax’s presence. It is now known that a variety of viruses (aka phages) can infect an anthrax bacterium, which then turns on variety of anthrax genes. Sometimes this results in anthrax producing a biofilm that cements them to the soil. At other times it allows anthrax to continue living in the gut of earthworms. Indeed it appears earthworms may harbor a very large reservoir of anthrax. Earthworms can survive in Siberian active layers but not in permafrost. "A very serious mistake was made in 2007. Russia continued vaccinating the neighboring regions, such as Yurga, Komi, and Nenets, but for some reason it was decided that Yamal, with the largest herds in the world, did not need to vaccinate its reindeer." Apparently Outonalimb is not aware of his own contradictions and lies, even if he writes them just minutes apart. So it should be no surprise he is oblivious to all the contradictory evidence that attributes the anthrax spread to climate change. However I must admit I take great pride in knowing the validity of my arguments provoke alarmists to counter with their standard dishonest “shoot the messenger tactics”. I recently experienced similar attacks from the Australian Broadcasting Company regards my essay on coral resilience. Such attacks are usually mounted when alarmists fear the truth will undermine their catastrophic CO2 warming meme, even when the author lacks notoriety. Why else attack an “insignificant scientist” like myself? My second explanation in my WUWT essay provided examples of how ground disturbances bring anthrax living in the subsurface closer to the surface and increase the probability of contact with grazing animals. I mentioned floods, droughts and overgrazing, but there are many other mechanisms. I failed to mention the extensive oil exploration in the Yamal region had also disturbed the soil. Elsewhere the tilling of the soil had brought spores to the surface, which resulted in a spike in Russian anthrax outbreak in 1990s. Outonalimb appears not to understand people do not till frozen permafrost. People till soil layers that thaw every year and support plant growth. Outbreaks due to tilling are yet another example demonstrating anthrax is still abundant in the active layer and released by disturbances. But when one’s climate change blinkers make you to believe that only melting permafrost is releasing hypothetical “eradicated anthrax”, then important remedies like vaccinations and reducing soil disturbances by limiting overgrazing will seem like a “non-sequitor”. Outonallimb naively conceded, “While it is possible for reindeer to contract anthrax from vegetation deeply rooted in the ground (as happened in the Canadian outbreak), we'd only expect that if the ground thawed. The ground would only sufficiently thaw in Yamal if it got way warm due to global warming.” Does Outonalimb not understand there is an active layer that thaws each year. Where is his evidence that Yamal’s active layer cannot thaw after 3 months of 50 to 70 F degree summer temperatures? Amusingly Outonalimb’s ugly screed was driven solely by his obsession with global warming, his inability to differentiate between disease eradication and suppression, by his ignorance of seasonal thawing and by his inability to distinguish natural summer thaws from global warming. So we must wonder why the Daily Kos publishes such woefully ignorant essays.